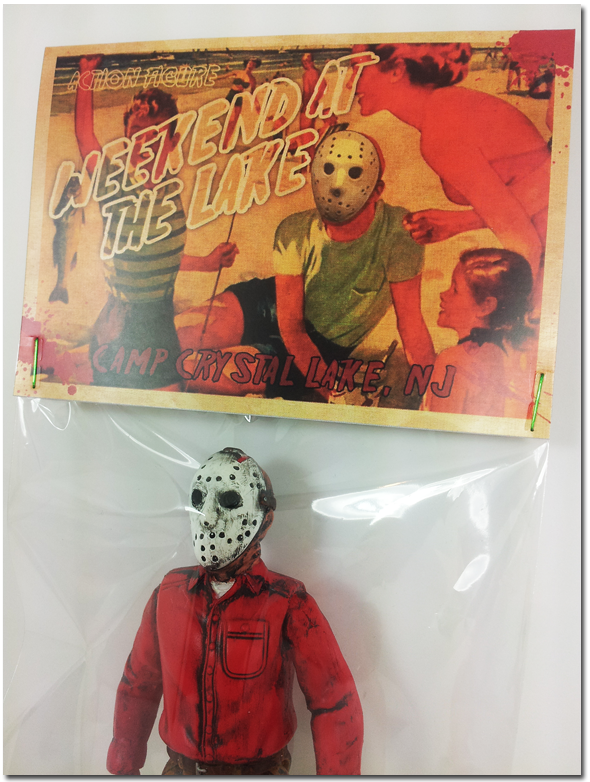 Weekend at the Lake – Bootleg Resin Action Figure Available NOW! 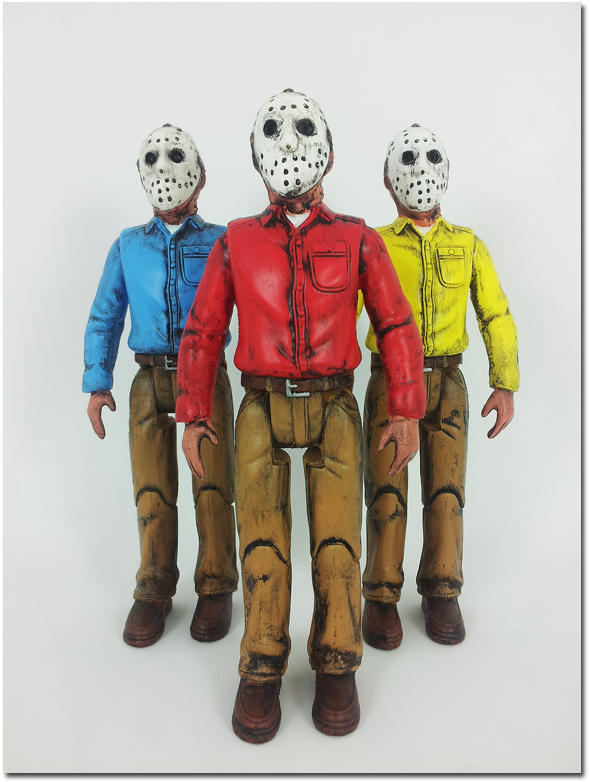 Just in time for Halloween, Weekend at the Lake is the first bootleg resin action figure from Jack’s Attic and is now available in our Artfire Shop for $40 (shipping included). 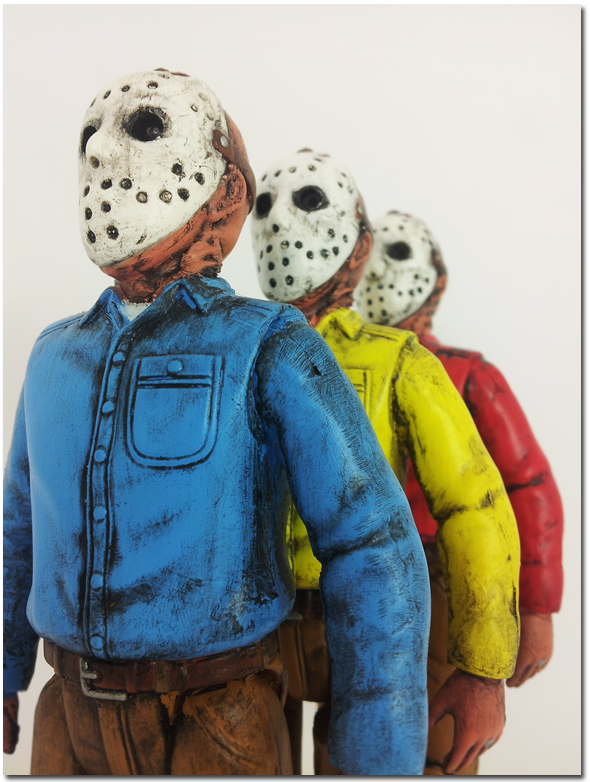 Kit bashed, hand cast and hand painted this homage to a retired, post slasher “Jay” is limited to only 13 pieces. 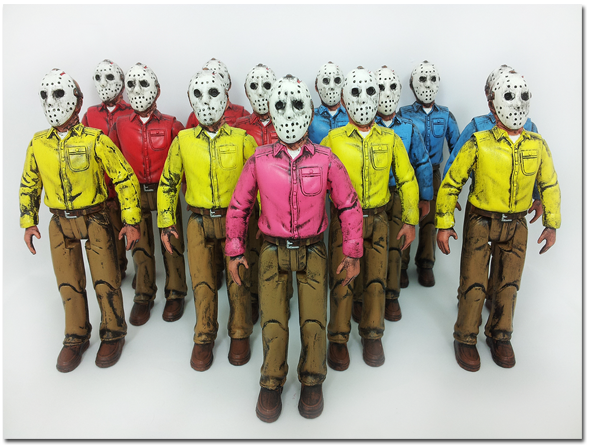 Each figure stands a lofty 6 inches and boasts 0 points of articulation. Each piece will come shipped in a poly bag with a custom hand numbered header card. Check out our Artfire Shop for more pictures and details on Weekend at the Lake. Please keep in mind that due to the 100% handmade nature of these figures there will be slight variations and minor imperfections in each piece. 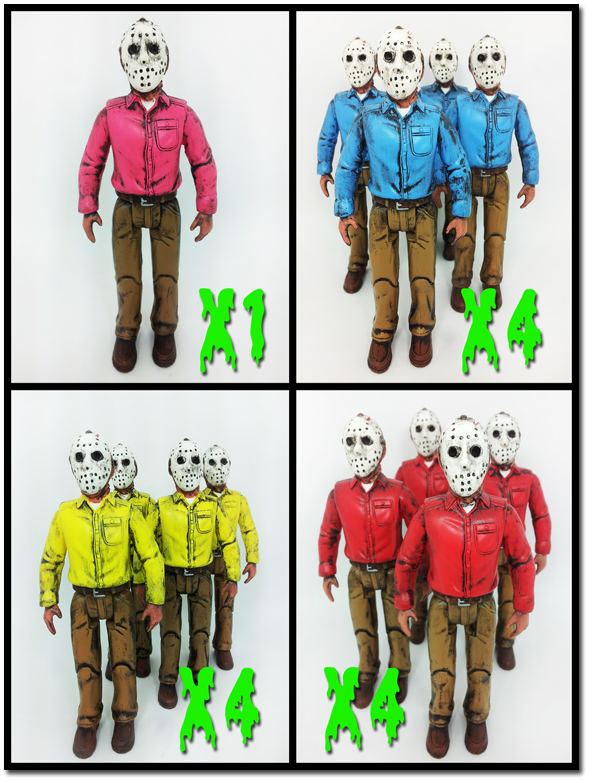 We feel that this variability adds a distinct uniqueness to each figure, making it truly one of a kind.